I saw this book at the local library and eagerly snapped it up. It was the fox on the front that did it, and while I wouldn’t have bought so specialised a book, I am thoroughly enamoured with it. 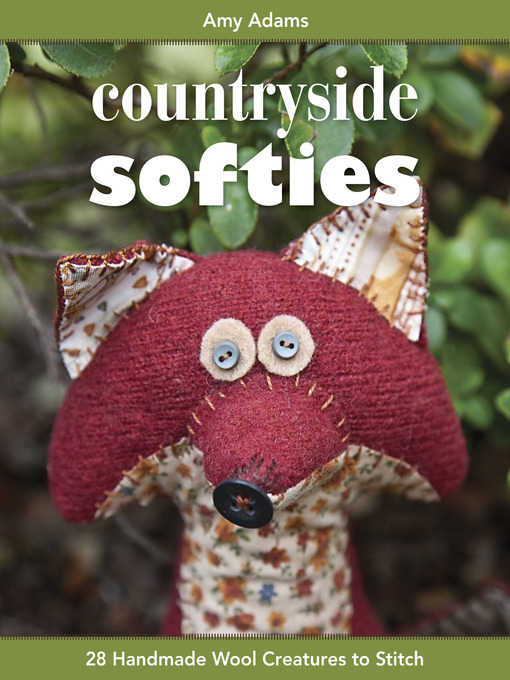 Countryside Softies is by crafter and blogger Amy Adams, and it consists of 28 cute creatures to be made out of felted wool, graded according to difficulty. They do look particularly sweet in felt, but as Amy says in her introduction, they could be made from woven fabric as well and are great for using up bits of material left over from other projects. In fact, each uses accents of woven fabrics for ears, paws and chests even if you do use felt as your main base. The introduction sets out the basics for construction of the softies, all of which will be generally familiar to anyone who has made toys before. What makes these projects distinctive is the character Amy manages to get into her designs, the deliberate scrappiness of the accent fabrics, and the use of large stitches in contrasting embroidery thread to affix them. All of these things combine to give the creatures an endearing whimsical character which is what seduced me when I saw the book. Plus the photography is excellent, not only showing the animals in their ‘countryside environment’, but presenting them from different angles so you can see how the different bits are attached. As I said I fell particularly for the fox on the cover and decided to make one straight away. I used some nice red wool (not felted wool, but woollen fabric) that I had left over from a dress, and then selections from my patchwork stash for the accents. Of course I wanted my fox to look just like Amy’s but I did manage to give him a bit of his own character through the fabric selection and choice of my favourite teal colour in the embroidery thread. These projects are not major stash busters – I got all the body pieces out of one small offcut of my woollen fabric, but the up-side is that you can make loads of them without buying anything new! 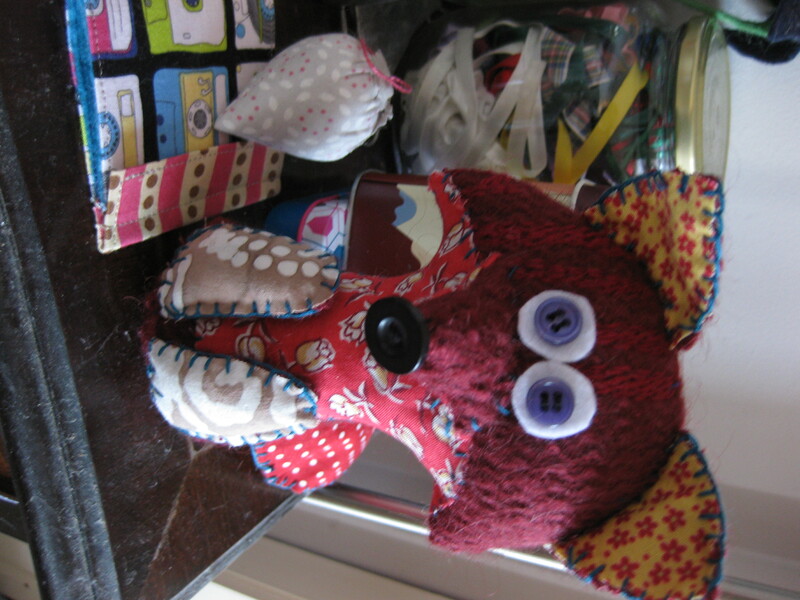 My fox took a few hours to make in total; I sewed the body on the machine but then did everything else by hand. I stuffed him with polyster stuffing, and used dried kidney beans as an internal weight rather than the suggested stone because it was, well, dark and manky outside. Just for reference, the fox pattern is rated at three toadstools (the hardest) but I don’t think it would present a problem for a careful beginner. If you want to start smaller, there are several flatter projects with just a front and a back made from felt, or accompaniments like a chestnut for the squirrel and an egg for the duck. I’m already contemplating which softie to make next, so don’t expect this book back at the library any time soon! I would thoroughly recommend it for its delightful designs and clear instructions. If you’d like to see more of the patterns in the book, a google image search will bring several more up.